Having gone to playing on a Steam PC in my living room over a console, I’ve used a few wireless setups to control the computer and play games. I mostly use a controller, but there are some Steam games that needs or plays better with a mouse and keyboard setup. I wanted something comfortable to use on my lap, yet not look horrible in my living room setup. 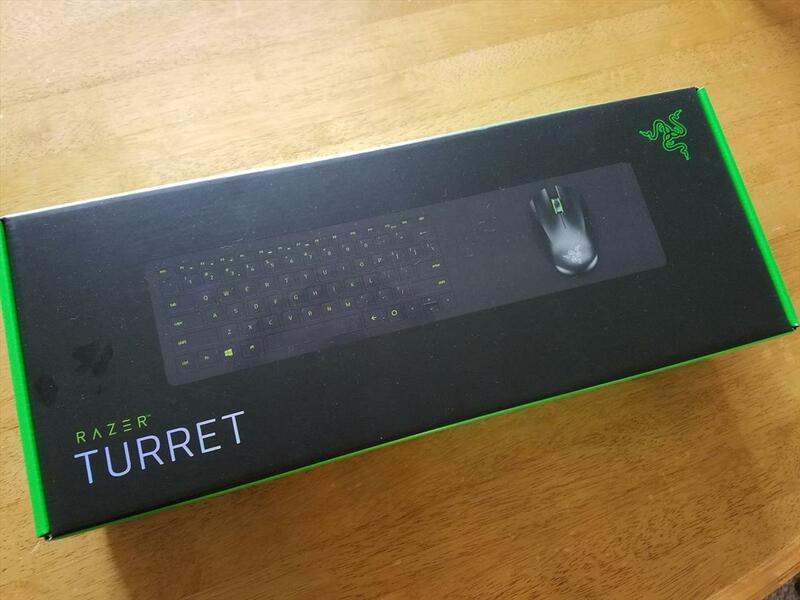 Enter the Razer Turret. 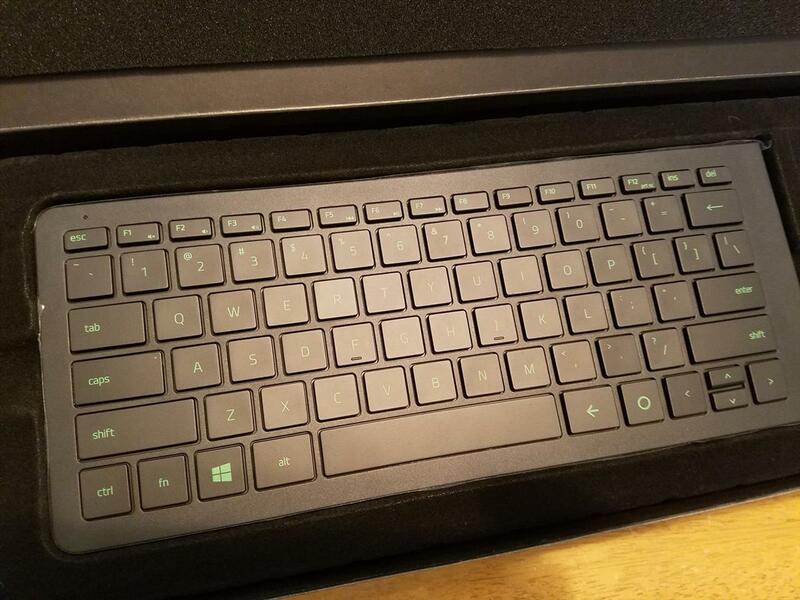 The Razer Turret is a lapboard that is made for the living room. It’s a combination keyboard and mouse setup that works over both 2.4Ghz and Bluetooth. As you can see, the Turret is a chiclet keyboard with a mouse pad on the right side and it’s made for gaming. 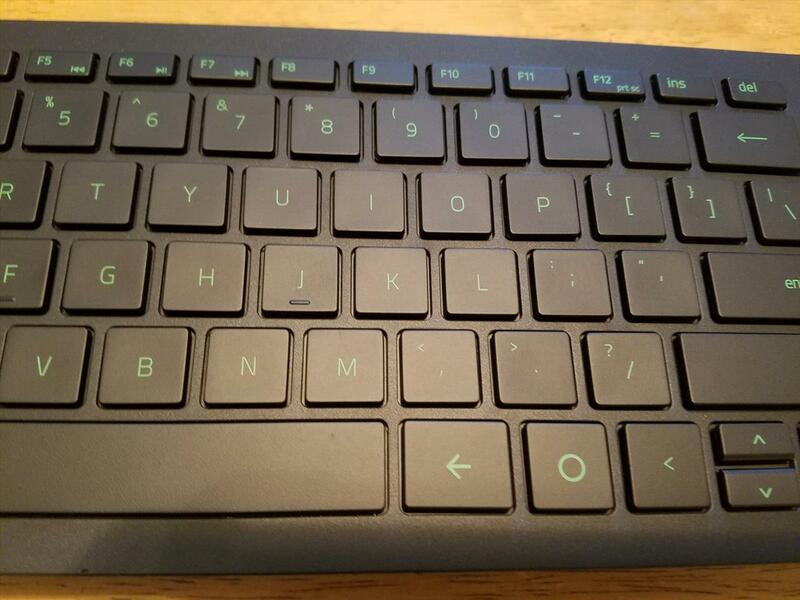 Typing on the chiclet keyboard is good with small key travel needed to actuate the keys. The keyboard isn’t backlit to save power. There’s also not much room around the outer keys so the size of the setup is pretty small. I wouldn’t use it to type long documents, but gaming where you’re really only using a few keys at a time is perfectly fine. I definitely had no problems using it to respond to chat messages so typing a few sentences is not a problem. Because of the small bezel area around the keyboard, there’s no wrist rest which can make it uncomfortable in some situations. I found myself having a little fatigue sometimes but it didn’t happen consistently. I think an optional wrist rest to make the Turret a little deeper would have been a good addition. Let’s talk about the mouse. 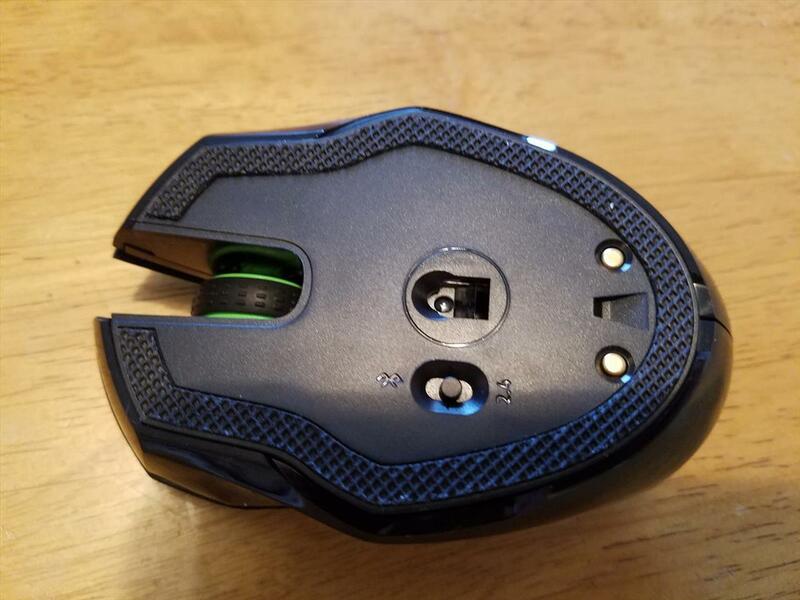 It’s a small, laptop sized mouse with two side buttons on both sides of the mouse.The top can lift off to expose the rechargeable Li-Ion battery. For those with larger hands, it might be a little harder to hold, but for my average size hands, the mouse’s size is about as small as I would want it to be. It does slide really well on the Turret’s mouse pad area and offered smooth movement. Razer has gone and put in a very sensitive 3500 DPI sensor, which does a pretty good job in most games. With the Razer Synapse software, you can adjust the sensitivity and tailor it to how you want it for the games you are playing. The right side of the Turret keyboard flips up to give you a square area for you to use the mouse on. The mouse also has some magnets on the bottom to help keep it on the pad. Don’t worry though as the magnets aren’t strong enough to make using the mouse a hindrance. I do wish the mouse pad area was able to lock into place as it’s a little too easy to bend it away from the keyboard, even slightly. Also, the mouse area is a little small so unless you have a very sensitive setup, you’ll probably find yourself running out of room a few times. And even though the mouse is made for left or right handed gamers, the mouse pad area is only on the right side of the keyboard, making it useless for left handed gamers unless you do some sort of cross-armed Twister position with your hands. Underneath the Turret keyboard, the back is coated with a very nice rubber that makes sitting on your lap very comfortable. 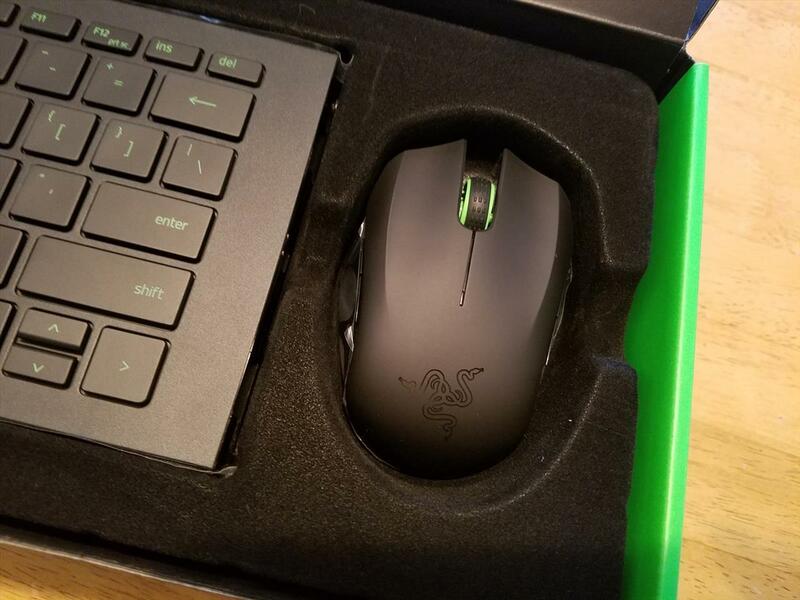 It’s got a nice texture feel to it and, of course, the Razer logo. Comfortable on the lap, this is one of the things that makes the Turret a nice, well, gaming lap board. Razer has touted the long battery life this setup provides. The mouse will last about 40 hours and the keyboard could last up to four months. That’s pretty good and the included dock that allows for recharging the two gives you a nice way to display the Turret as well powering the setup. I ran through a few types of games testing out the responsiveness with Call of Duty: Black Ops III, Diablo 3, Fallout 4, and a few other games. 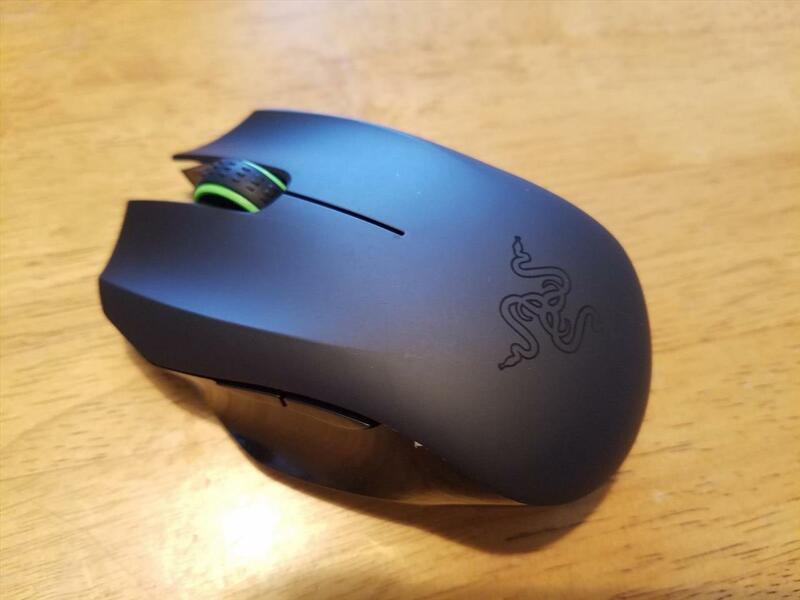 I had both my regular gaming mouse and the Razer Turret connected so I could jump between the two to see how well they felt. If there was any lag with the Razer Turret, I couldn’t see or feel it. The Turret’s responsiveness in all the games was top notch and it was hard pressed to know if I was using a wired mouse or a wireless one. 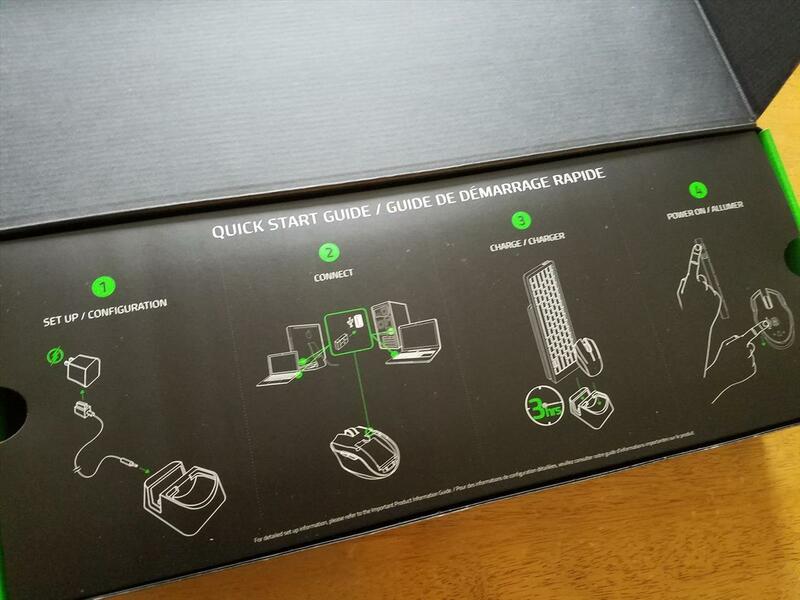 And that’s pretty important as Razer is pushing the Turret as a gaming lap board. 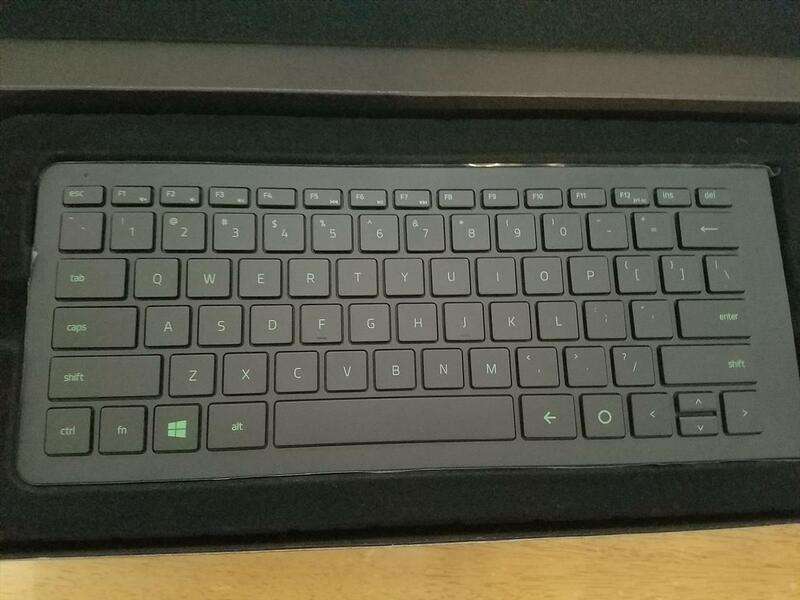 Performance is important and the Razer Turret’s mouse and keyboard did a great job in providing a responsive experience. Things I did miss though with the setup were dedicated media keys and some sort of backlighting. 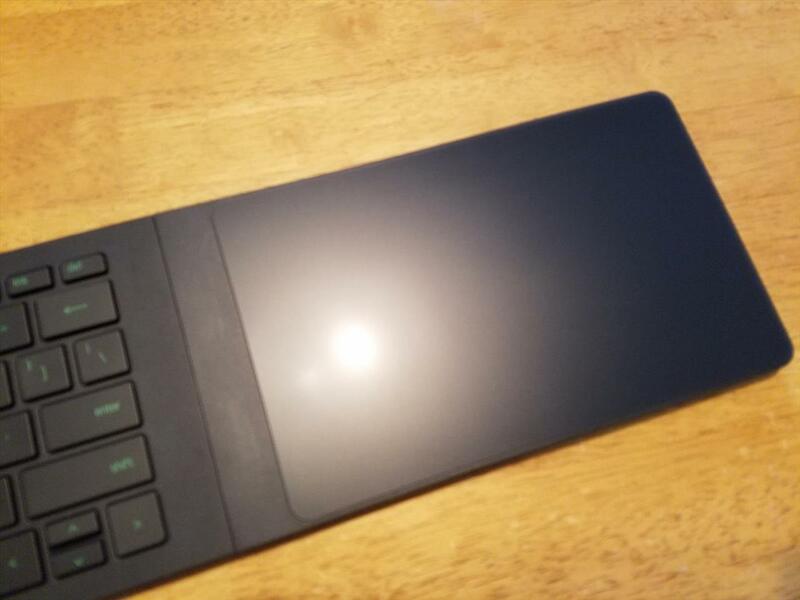 I know Razer didn’t include backlighting to maximize the battery life, but the option to have it there would have been a nice for those that play in a low light setting. 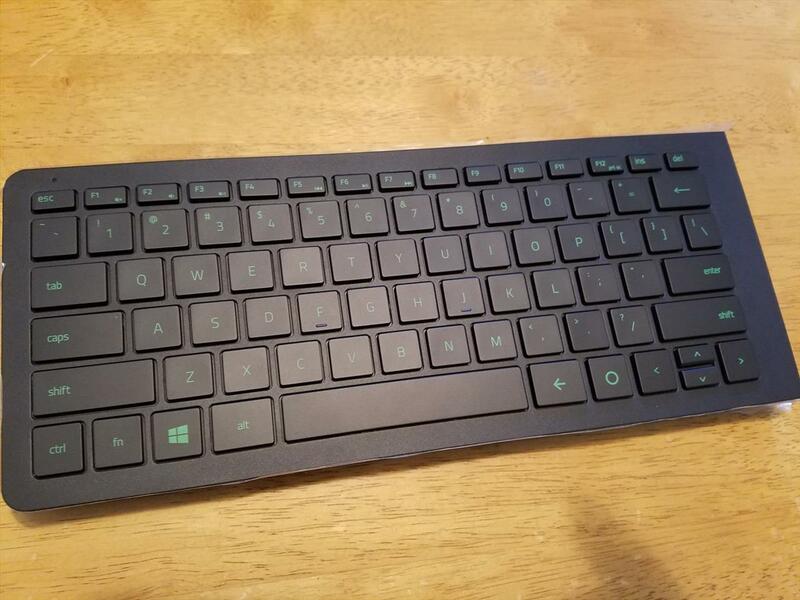 Razer’s Turret lapboard is a good offering for those that would like a keyboard and mouse setup while gaming on the couch, There are some things I’d like to see improved upon if Razer decides to make another one in the future, but it’s a nice small setup that will give you the controls that you need. Fatigue can set it if used for long periods of time though and its setup only accommodates right handed gamers. Still, the long battery life, rechargeable nature, dock, and solid performance makes the Razer Turret a very viable setup for playing games while sitting in a living room. 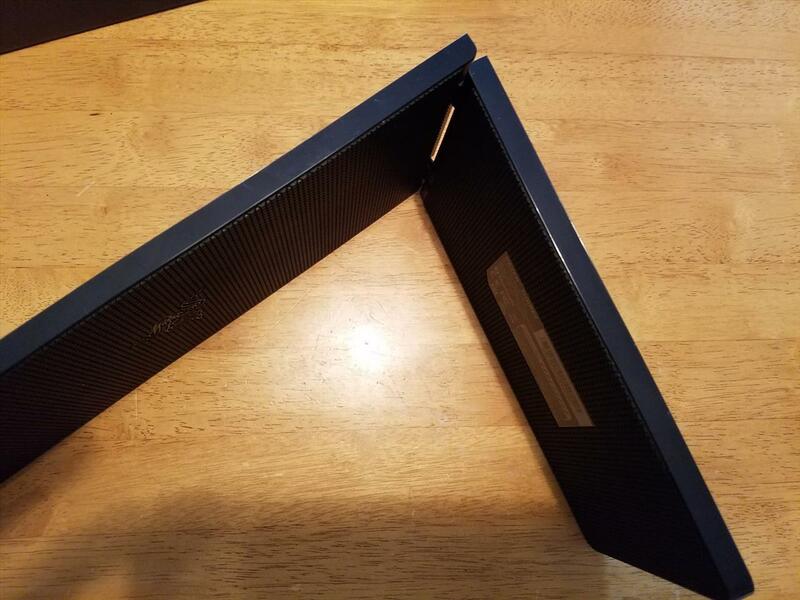 The Razer Turret is a nice little setup to game on the couch, but there are a few things that definitely could be improved upon.